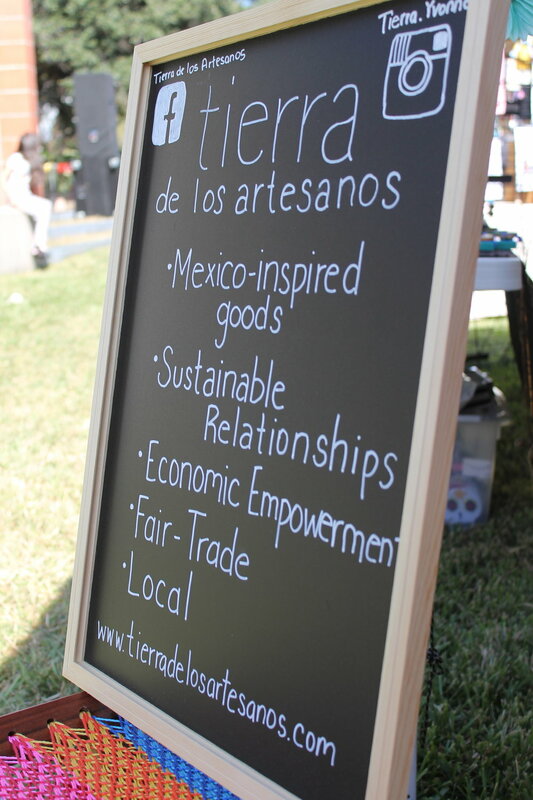 Tierra de los Artesanos is a marketplace were customers can ethically shop for Mexico-Inspired goods. Our mission is economic empowerment for Mexican artesanos currently living in Mexico as well as Mexican immigrants now living in the U.S. When traveling to Merida, Yucatan in 2014 Yvonne noticed two things while in the city. First, artisan women and men would gather in the main plaza daily and sold their craft in an organized manner. Second, she noticed that the women and men were part of cooperatives, learning from each other while sustaining their household by using their skills. After this trip, Tierra began to form. Yvonne began to study what was thriving and working for artisans in Mexico and asked herself, "What could work for the artisans of Mexico who now live in the U.S.?" We value JUST PRACTICES and will cultivate a business that believes in the people first. We welcome each artesano as they are. Tierra travels to Mexico seeking out women and men who have dedicated their lives to selling their creative crafts. Each artisan is invited to join Tierra and each relationship reflects fair trade and sustainable practices. Artisans are invited to expand their market to an international scale by joining our online market and store front.